African violets (Saintpaulia) are the well known colorfully blooming plants found in many borders, rock gardens, or kept as houseplants. With over 2000 cultivars in an array of colors including violet, blue, red, white, pink, cream, soft yellow, and bi- or multicolored flowers. "Chimera" African violets are popular as they appear striped. 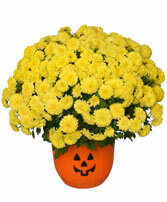 "Fantasy" are filled with flecks of color and also make beautiful accents in arrangements. 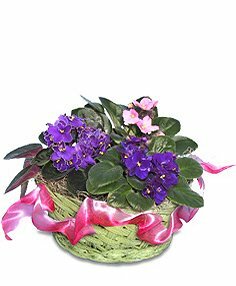 Care of African violets is relatively easy and requires an environment of bright to moderate but consistent light in an evenly moist and humid atmosphere. African violets require at least 12 hours of bright filtered light per day to flower long-term. However, avoid the intense heat of the direct sun during the summer. For darker winter months, position African violets in places that receive the largest amount of light. Whatever the time of year, African violets are excellent choices for growing under lights. African violets are also very sensitive to heat and cold. Grow African violets as houseplants. The difficulty in regulating the temperature of greenhouses leaves many too hot in the summer and too cold in the winter for the delicate flowering African violet. Care should also be taken to avoid excessive light and heat as too much heat may cause the soil surrounding the plant to dry. 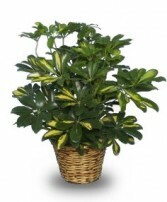 This can cause the blooms to fail or wilt or the plant itself to fail from lack of nourishment. African violets are found in nature on riverbanks, streamsides, or among rocks. 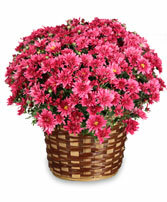 They enjoy an evenly moist environment with high humidity and should be watered moderately, taking care not to over water which can cause blooms to wilt, root rot and other problems. African violet plants need a high phosphate and high potash fertilizer for the best blooming. Apply a high phosphate, high potash liquid fertilizer every two weeks during the growing season. Another option is to apply quarter strength liquid fertilizer at every watering. When caring for African violets pay attention to possible pest and pathogen problems. Aphids, mealybugs, thrips, and spider mites are common pest problems for African violets. Pathogen (fungal and bacterial) difficulties may also occur with Saintpaulia such as crown rot, powdery mildew, and gray mold. Repot African Violets at least once a year but only slightly increase the size of the pot. Take care not to overpot. 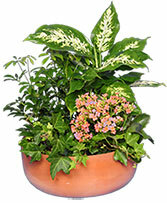 To accurately select a pot, measure the diameter of your plant. 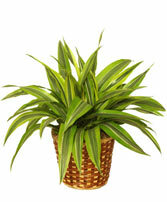 The diameter of the pot should be around one-third of the diameter of the plant. The most popular method for propagating African violets is through root leaf cuttings or to root suckers of cultivars. The popular striped "Chimera" cultivars will not establish themselves from leaf cuttings but will come true from suckers. Sow seed at 66-75oF as soon as ripe. Take cuttings at 75-81oF. 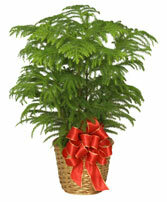 Buy African violets from your local florist with FlowerShopNetwork.com.